Boardshorts are a piece of men's summer wear designed for board sports and other beach activities. More recently, they have become a fashion item during the summer months and are being worn regardless of the occasion. Different types of boardshorts have many unique features that separate them from one another. 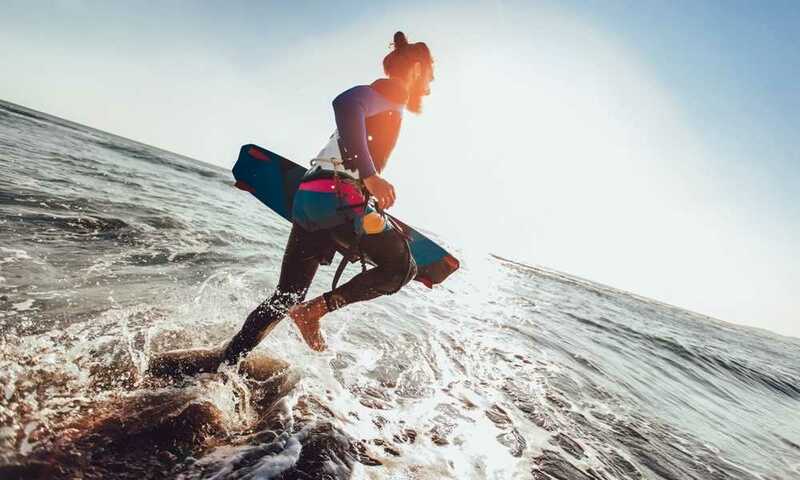 Some of those include triple laces as well as security measures for surfers, pockets for casual customers, or heavily modified pairs for professional athletes. Whichever category you fit in, it's important to know what material are board shorts made of before deciding to make a purchase. In this article, we will explain the subtle differences between these materials, and try to help you pick what suits your needs the best. Boardshorts have a unique design that allows them to dry quickly. Throughout the years, the basic idea behind the design remained the same. However, manufacturers have implemented many new features and tried various materials with the goal of making their product better than the competitors. Ever since they were created, boardshorts were manufactured using nylon or polyester. You can't really go wrong whichever one you pick. The main difference between the materials is their price. Nylon boardshorts are often less affordable and feature a higher quality design. They dry quickly, and professional surfers prefer them more than the polyester ones. However, polyester boardshorts are more elastic, and thus, more comfortable. This makes them the perfect choice for those who are not going to spend their days riding the waves. While they are usually made out of simple polyester or nylon materials, manufacturers have started using elastane to cater to the casual wearers and provide extra comfort to them. These kinds of boardshorts are very durable, so they wouldn't get pulled off by strong waves, yet remain convenient and easy to wear. 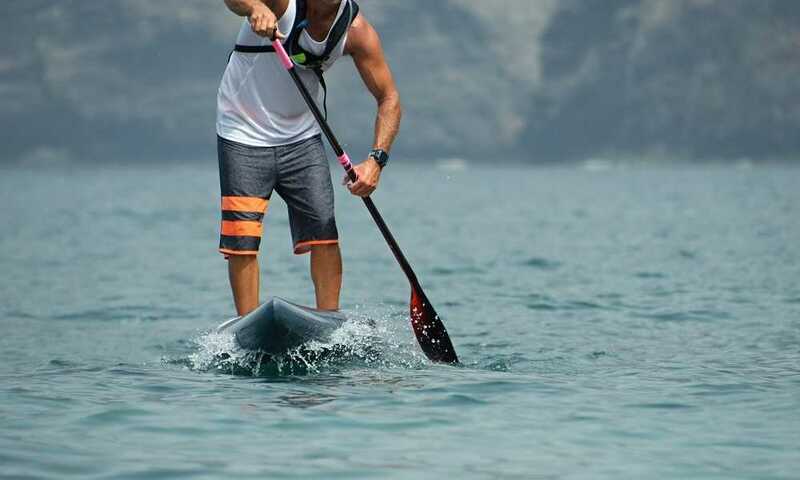 If you are looking for additional elasticity, you should purchase a pair of boardshorts that were created using elastane as one of its main components. 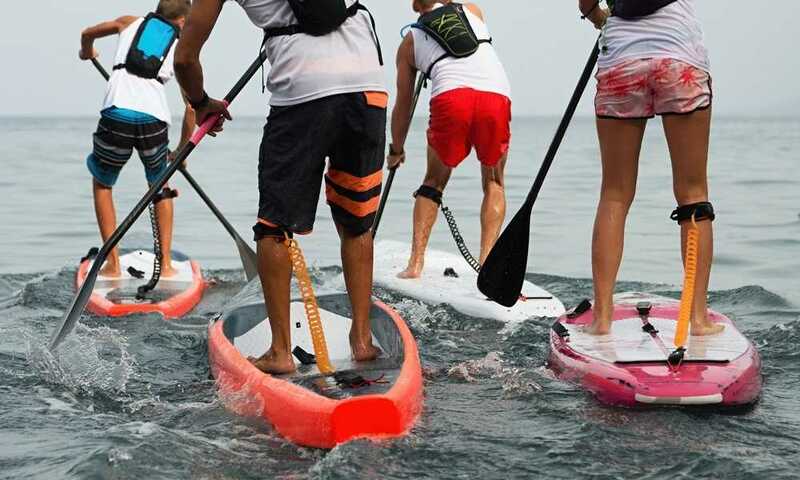 Such adaptation has made them extremely popular among all kinds of watersport enthusiasts. The waist of the boardshorts is customarily elastic, which is similar to the waist design of other swim shorts models. The waistband can be opened at the front, and this is usually done by using Velcro. However, many customers have complained that they are having trouble with their private parts feeling uncomfortable because of the Velcro. For this reason, many designers have switched to using neoprene, and the results were reported as satisfactory. Surfer boardshorts have additional security measures and often feature a double or triple lace-up front. This is done so the shorts wouldn't get removed by the powerful waves that surfers often encounter. Another regular complaint about boardshorts was the stitching. Customers have often complained about the rough stitches rubbing against their skin. This was very uncomfortable for those who don't wear an additional layer of protection underneath their boardshorts. In order to solve this, the manufacturers switched to using the seamless design. The seams were replaced by glue or plain welding, which, in turn, reduced the overall endurance they had. However, this wasn't implemented on board shorts that professional surfers use, as durability is highly important for them. Most casual board shorts have pockets that can be zipped up or closed with a button. They are there both for fashion impression and for utility. You can use them the same way as you would use the pockets in regular pants—to keep your keys, mobile phone, or wallet safe and close to you. Regular swim shorts have a lining implemented, while boardshorts don't sport that particular feature. This is because swimming gear is often designed so the professional swimmers would be able to move much faster than they could while using regular clothing items. Boardshorts are much longer than other shorts or swimming clothes. 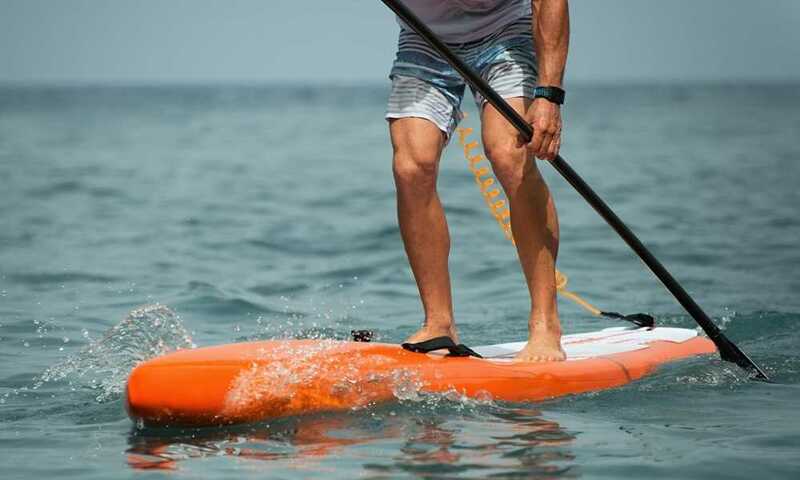 The surfer boards have a layer of wax that is there to provide additional stability to the surfers. However, this can hurt the leg skin and rip the leg hair off while standing or lying down on the board. For the above reason, the length is increased so the board wax wouldn't hurt the surfers' legs and cause leg hair to come off painfully. Boardshorts designs can vary depending on the company that manufactured them. What material are board shorts made of is an important thing to consider when you decide to buy a pair. If you're a surfer, you should stick to the nylon design and stitched seams for durability. Look for more expensive models that feature Velcro zippers and triple laces for additional security and resistance to the powerful waves. However, if you plan to use boardshorts for casual events and summer walks, the polyester option might be better for you. Don't let the number of laces and security measures trouble you. Pick what looks good and fits your budget, and we are confident that you won't be disappointed.